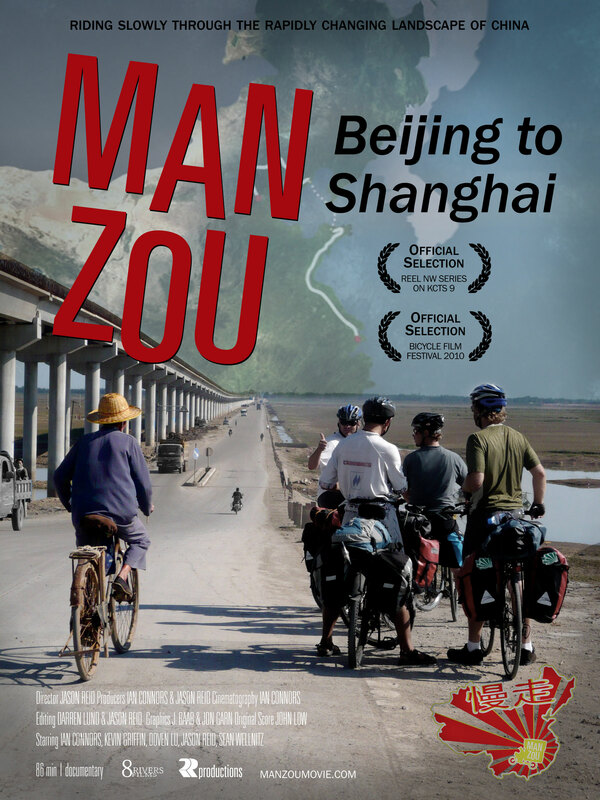 We are proud to announce the official television premiere of Man Zou: Beijing to Shanghai on Northwest PBS affiliate KCTS 9 as part of the Reel NW series this winter. We have edited a new and improved 86-minute cut of the movie (if you attended our screenings in Seattle or Portland, it was 102 minutes then) and we are very excited to finally get the opportunity to share our adventure with a broader audience. It will air at 10:00 p.m. on Thursday, Dec. 2. Following its television premiere on KCTS 9, the full movie will be available to view on-demand for one week through local cable providers and online for one month via www.kcts9.org. More details to come in the upcoming months. The Bicycle Film Festival also recently announced that our new feature documentary, Man Zou: Beijing to Shanghai was selected for the Seattle stop of the worldwide festival. The film screens THIS SUNDAY, Oct 10 at 5:00pm at Western Bridge (3412 4th Ave South). This is the film’s official festival premiere and a good chance to check out the new 86-minute cut on the big screen before its upcoming television premiere. Well…we finally finished editing Man Zou and we’re ready to celebrate! We have submitted it 10 festivals all over the world and now we wait to see where the World Premiere will be. For those of you in Seattle, we will be having a friends and family screening of Man Zou and a wrap party on Saturday August 22nd at SIFF Cinema (8:00pm screening, 7:30 doors, Q&A to follow). Hope you can all join us to share in our adventure, as well some good times!